I hope you're enjoying your Friday so far. I've been making this on and off for a bit but finally got round to finishing it. I made a template from printer paper to cover to middle of the box and around the sides, just leaving a corner and along the edges showing, I just tore the paper, it doesn't have to be an exact shape. I then stamped snowflakes randomly with Versamark and heat embossed in gold. I used gold gilding wax lightly all along the edges. The gilding wax was also used to colour the wooded lettering and then I sprayed it with glitter spray, I attached to the box using wet glue and added metal snowflake embellishments. I also added metal corner embellishments and a metal clasp. To finish it off I lined the inside with green felt. I still might add bits to it knowing me but for now I'm quite pleased with it. 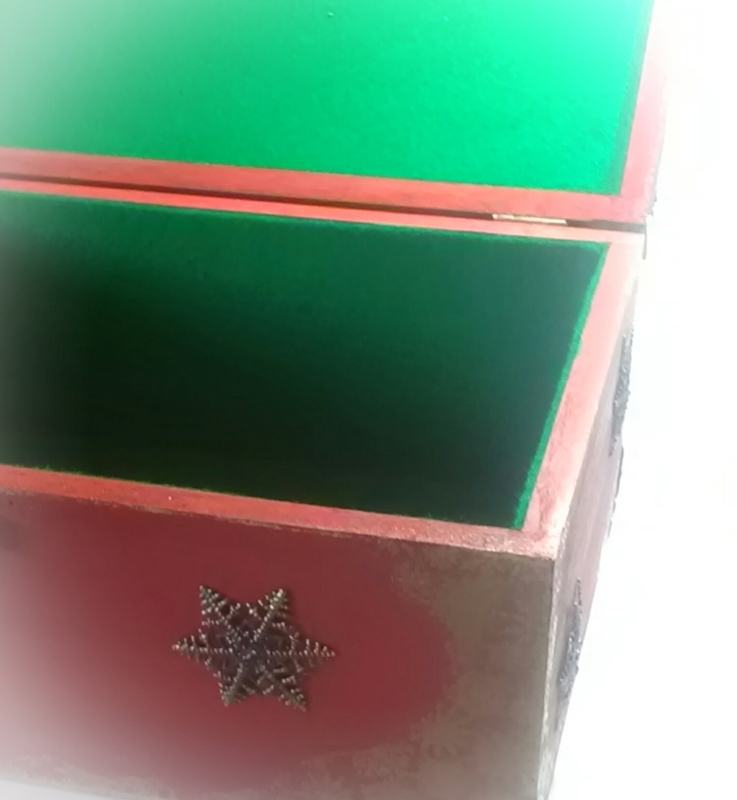 A beautifully decorated Christmas Eve box, I'm sure it will be treasured for years to come. Really beautiful box - great project!! Your box looks amazing. I wonder what it will be filled with ready for Christmas Eve?